I was delighted to be asked to take part in the blog tour for Caroline Beecham’s novel, Maggie’s Kitchen. A story combining friendship and food set against a country in wartime – Maggie’s Kitchen has all the ingredients needed to deliver an intriguing read. I loved reading this book for the authentic historical vibe but also for the wonderfully courageous heroine, Maggie. I’m so glad to be sharing with you all a guest post from the author, Caroline Beecham, where she talks about some of the challenges women faced around the time of World War II and writing about them authentically. I hope you enjoy reading it as much as I did. 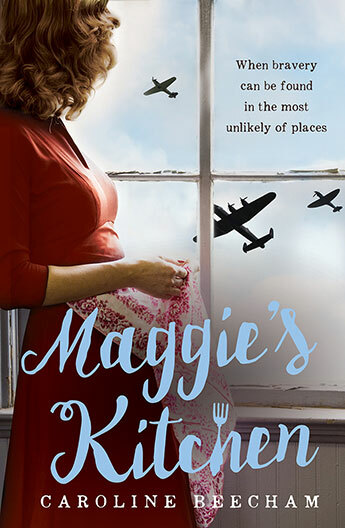 Maggie’s Kitchen follows the fortunes of Maggie Johnson as she sets up and runs a British Restaurant in London during the Second World War. The story focuses on the relationships that develop with the community and in particular with Robbie, a twelve-year-old runaway, and Janek, a Polish refuge. Together they struggle through government red-tape to open the restaurant and then battle food shortages and community crisis to keep open their doors. Maggie’s desire to nurture the community, and runaway Robbie, comes from her innate sense of generosity and caring, but also from grief. She had always wanted to open a restaurant with her fiancé Peter, before he was killed. Robbie also reminds Maggie of her youngest brother, Ernest, who died many years earlier when she was supposed to be looking after him. Throughout the novel Maggie has to overcome considerable obstacles, as many women had to at the time, and despite women taking over many roles that had previously been in the male domain, there was still prejudice. For Maggie, this is explored in her relationships with the antagonistic Mr Boyle, the Divisional Food Officer, and the ongoing problems he creates. But counter to Mr Boyle’s character is the gentle reserve of Janek, the Polish refugee who grows food in a nearby commandeered area, as he seeks to join the Polish resistance and return to his homeland and rescue the loved ones he left behind. One of the biggest challenges in writing the novel was to imagine what it would have been like to live during the difficulties of the time, imagining how the conditions would have informed everything about life, starting on a practical level by how it would feel to not to not be able to do what you want, buy what you need or get enough to eat. And then quite apart from the difficult and dangerous physical conditions, there are the emotional demands of living with constant fear and threat. I realised that the only way to imagine how this would feel would be to immerse myself in life at the time through research and reading in the era, and to write my way into the characters. It was the everyday bravery shown by women in ‘Nella Lasts’s War: The Diary of a Second World War housewife, 49,’ for instance, that informed some of the female characters in the book. A lot of time is given to the male heroes of war but there was a lot of sacrifice and suffering but also a lot of giving and positive experience during the war. I suppose as well as finding the British Restaurants interesting in their own right, I wanted to tap into the social history and how life was for women at the time and show how ‘When bravery is shown in the unlikeliest of places’. As a heroine Maggie is tenacious and selfless and we do see her weaken in periods of self-doubt, but it’s her courage that really sets her apart. For those who want to learn more about Caroline Beecham and her brilliant novel, Maggie’s Kitchen, be sure to check out other stops on the blog tour! 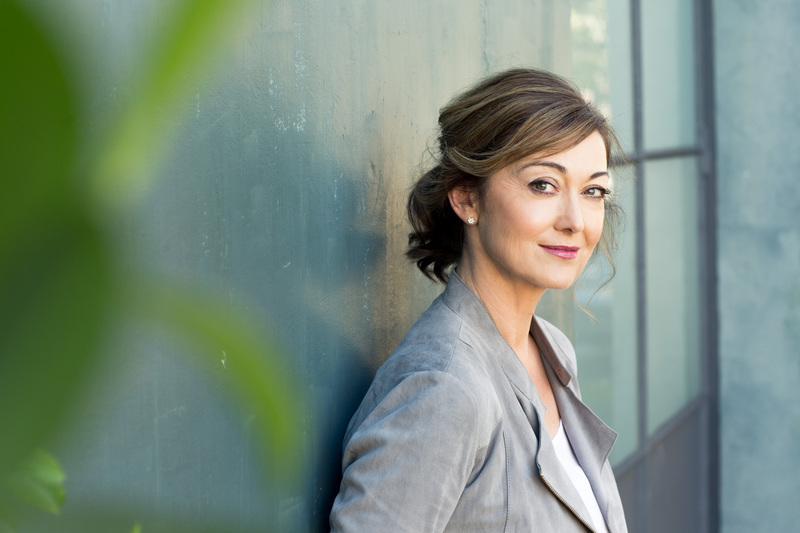 Caroline Beecham grew up at the English seaside and relocated to Australia to continue her career as a writer and producer in film and television. She has worked on numerous productions including a documentary about Princess Diana lookalikes, a series about journeys to the ends of the earth, as well as a feature film about finding the end of the rainbow. Caroline decided on a new way of storytelling and studied the craft of novel writing at the Faber Academy in 2012. She has an MA in Film &amp; Television and a MA in Creative Writing and lives with her husband and two sons by Sydney harbour. Maggie's Kitchen is her first published adult novel. This sounds like a wonderful book, I will have to look it up :). I really appreciate it when authors do a lot of research for their historical fiction novels. I saw a stage adaption of Housewife 49 last year and it was fantastic; Caroline must have had a lot of fun researching this novel, despite the topic. Humour in the face of tragedy and hardship is a British speciality I think. I love the summary of this one, it sounds heartfelt. I’d not heard of Housewife 49 before but it does sound fascinating. *added to the monstrous TBR list* This sounds really good. Different, but good. It is different. I don’t typically read books set around this time (mostly either contemporary or historical) but Maggie is a great character to follow as she does her part for the war effort.